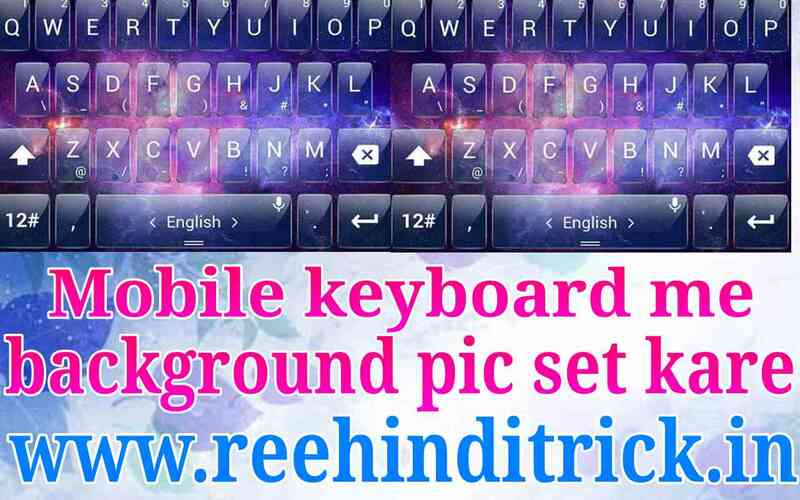 Hello friends aj is post me mobile keyboard me background photo set karna bata raha hu. Sabhi log apne mobile ko stylish or attractive banana chahte hai taki hamara mobile sabhi mobile se alag or achha dikhe isi liye kuchh log mobile keyboard me bhi background me pic ya wallpaper set kar lete hai jisse mobile keyboard pehle se or jada achha dikhai dene lagta hai. Android mobile ke sath jo keyboard company se aata hai jise default keyboard bhi kehte hai usme ham background pic ya wallpaper set nahi kar sakte hai, par yadi ham keyboard me background pic set karna chahte hai to hame play store se custom keyboard app download karna hoga or apne mobile me custom keyboard use karna hoga. 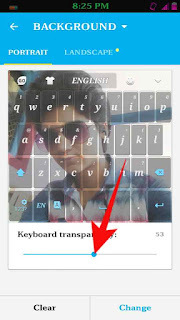 Play store me bohot sare custom keyboard apps available hai jinki madad se ham keyboard ke background me pic set kar sakte hai par me aj apko is post me Go Keyboard ke bare me bata raha hu go keyboard me ham keyboard ke background me pic set kar sakte hai. 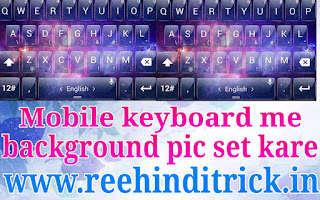 Go keyboard ek bohot achha custom android mobile keyboard app hai isme ham background pic set kar sakte hai or ise fully customize bhi kar sakte hai, achhe achhe themes use kar sakte hai or apne mobile keyboard ko pehle se jada styles ot attractive bana sakte hai to chaliye friends start karte hai or keyboard me background pic set karte hai. Apne mobile keyboard ke background me pic set karne ke liye aage bataye gaye sabhi steps ko thik se follow kare uske bad ap bhi apne keyboard me background pic jarur set kar payenge. 1. Sabse pehle ap apne mobile me play store open kare or go keyboard app dawnload kare. 2. Ab ap Go keybord app ko open kare or apne mobile me go keyboard set kare. 3. 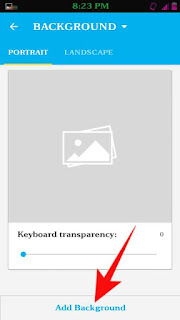 Ab ap fir se Go keyboard app icon par click kare or go keyboard open kare. 4. 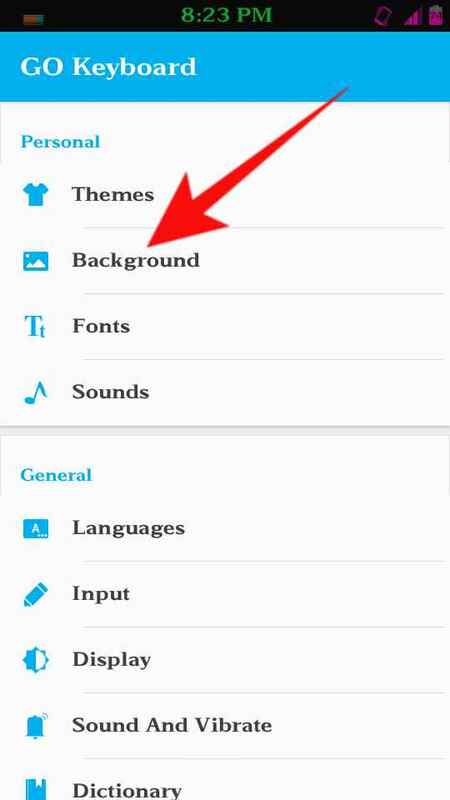 Yaha par apko bohot sare option dikhai denge ap background par click kare. 5. 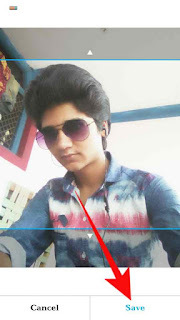 Ab yaha par sabse niche add background par click kare. 6. Ab ap Gallery se jo bhi pic ko set karna h usko select kare. 7. 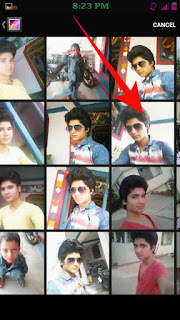 Ab apko pic ko crop karna h or jitni pic set karna h utna select kare or save par click kare. 8. Ab yaha par apko keyboard ke neche keyboard transparency ke niche ek line dikhai degi usko adha par rakhe. 9. Ab apke mobile keyboard ke background me pic set ho gayi hai. Is type se ham mobile ke keyboard ke background me ek pic set kar sakte hai or apne mobile keyboard ko attractive bana sakte hai, keyboard me background pic set karne ke bad ab apke mobile ka keyboard pehle se jada achha or styles dikhai dega.